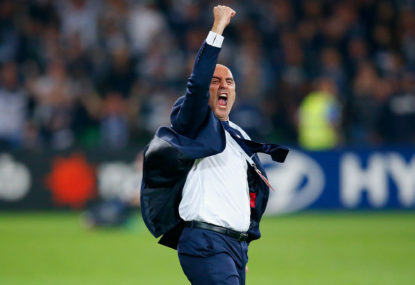 AAMI Park is the best venue in the A-League, and Melbourne Victory will pick up points freely now that they’re playing out of a proper football ground. 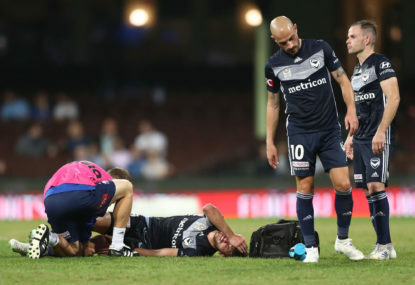 Saturday night’s Melbourne derby was a humdinger of an affair – tight and tense until the end – and it looked like it would finish scoreless until Melbourne City goalkeeper Dean Bouzanis’ moment of stoppage-time madness. Bouzanis has had plenty of decent games in a City jersey, and it hardly seems fair to pin an entire defeat on the solitary figure between the posts. But having sprayed wayward passes throughout the entirety of the 90 minutes – despite constantly being lauded for his distribution – is it really worth picking a goalkeeper for his passing ability if he’s going to concede a penalty after failing the rather more critical task of collecting a cross? To put it another way: does the art of actual goalkeeping play second fiddle to the cult of possession in the world of modern football? 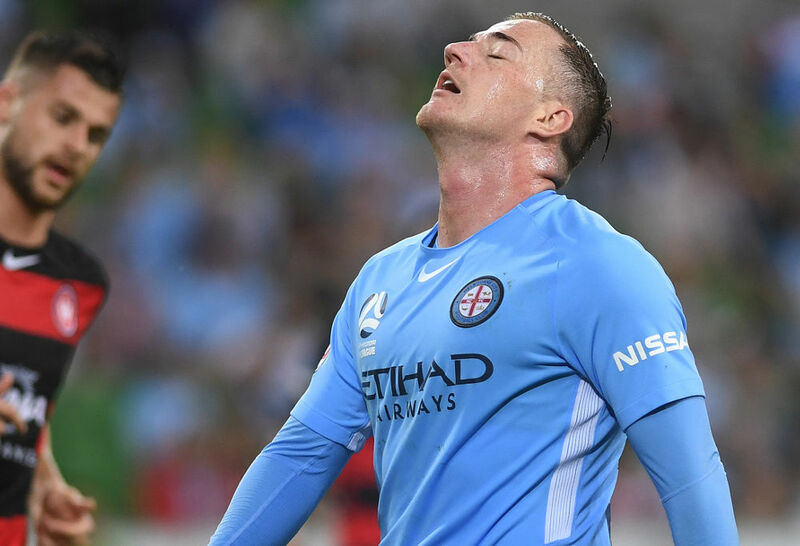 Perhaps City would have been better served with Eugene Galekovic between the posts, but the hosts could at least breathe a sigh of relief at the sight of Ross McCormack coming off the bench barely a week after it was thought he would miss the rest of the season. And McCormack had his work cut out from him in a typically ferocious derby, thanks in no small part to the raucous atmosphere raining down from the stands. Victory can thank the fact they had Mark Milligan on the pitch for converting their spot-kick – he’s a much better penalty taker than Besart Berisha – but it was the away fans massed at the northern end of the ground who played their part in creating a vociferous atmosphere inside the ground. Is the Victory home end back in full force? 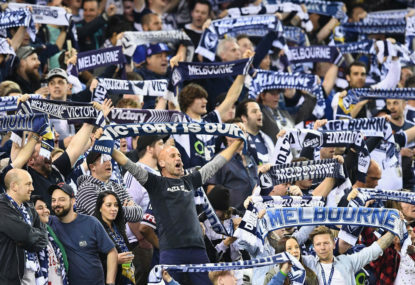 There’s no denying the fact active fans have been badly treated in the past, but it’s probably also safe to say that some A-League fans are quick to find the first available excuse to avoid attending games. But both Victory supporters, and the small but passionate contingent of City fans, helped produce the sort of atmosphere we see more commonly in Europe – and the derby itself was so much better for it. 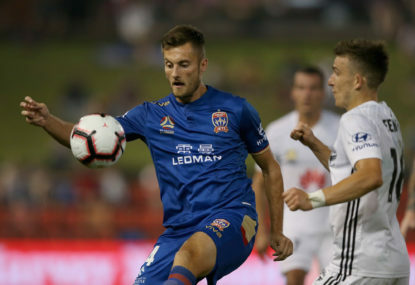 It’s a far cry from the sort of atmosphere we see at Westpac Stadium every fortnight – which is a shame, because a visit to Wellington is arguably the best away trip in the A-League. Wellington itself is fantastic – the city is cool, the food and drink is superb, and you can happily engage in a spot of pub-hopping en route to a stadium that sits within a comfortable walk from the CBD. Even the weather is suitably moody, and when the dark clouds roll in over Wellington Harbour, you could be forgiven for thinking you’re about to watch a game somewhere in Europe. That is, of course, until you see the empty seats. The Phoenix didn’t even bother to announce the attendance on Saturday. 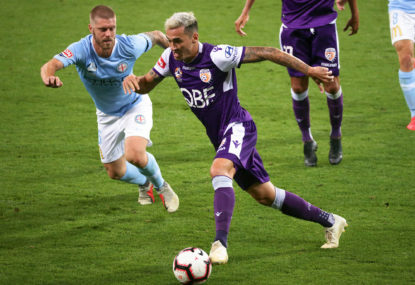 And they were never at the races as soon as Sydney FC got out of second gear, and having comprehensively crushed the Kiwi club thanks to a Bobo hat-trick in their 4-1 win, the Sky Blues are another club that would do well to lift their attendances. 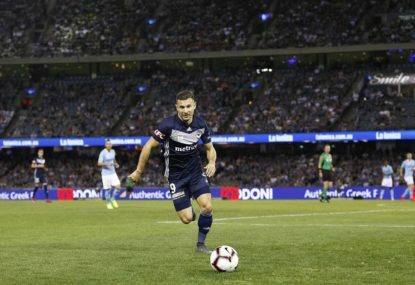 That won’t be a problem for Victory for the rest of the campaign – their upcoming home game against the Mariners in Geelong duly noted – and now that they’re back at the venue they share with City, they can play in front of the sort of atmosphere that helps bring out the best in players like Berisha and Leroy George. Adelaide United host the Mariners tomorrow to round out the Christmas action, and here’s hoping it’s a suitably festive Boxing Day encounter. As for today, I hope you have a very Merry Christmas and I wish you all a Happy New Year – one filled with plenty of fantastic football!